August | 2014 | Bucky's Beer Cheese Co. The clear gold standard in the eating utensil world is the fork, a true all star that is an absolute necessity at any civilized place setting. Not only is it’s skewering ability top-notch with it’s 3-4 prongs, it can also function as a rough replacement for a knife or spoon in most occasions, making it’s versatility second to none. If you need proof, go buy a combo-pack of plastic utensils for your next picnic, business lunch or other community event at which food will be served. I guarantee you’ll be left with 48 spoons, 38 knives and 2 forks some weirdo probably used and then replaced. While the side of your fork can handle a lot, sometimes your need something sharp and serrated. The classic knife-and-fork combo comes in with the two top spots on our list, which should come as a surprise to no one. Of course, most of the time, the steak knife is completely dependent on the fork to even work properly, giving it a slight bump down and showing just how wide the gap is between the fork and the rest of the field. The fork of the Asian world can’t be ignored in the world of eating utensils, even if it’s use in the United States is limited to Chinese takeout and really, really cool hipsters. It’s entirely possible it deserves a spot closer to the legendary fork, but I have never been able to figure out how to use them properly and, while chopsticks are certainly an effective and elegant method for delivering food from your bowl or plate to your mouth, I’m of the opinion that accessibility and ease of use factor in to these rankings. It should be noted also that the laws governing the etiquette of chopstick use are long, convoluted and at times contradictory, so if you find yourself at a traditional Asian dinner, there’s a pretty decent chance you’ll at some point end up accidentally offending someone. The skewer is basically just one chopstick that’s had it’s point whittled to a more deadly point to make stabbing and stacking your food easier. 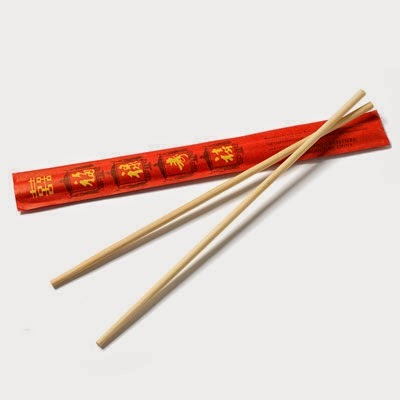 It is of note that while chopsticks could theoretically be used as a skewer in a pinch, the practice is generally frowned upon as at best rude and at worst symbolic of death. Skewers are a staple of any legitimate barbeque, and if you happen to find one loaded with nothing but vegetables, do your friends and family a favor and throw some steak on that bad boy. Veterans of Yum! 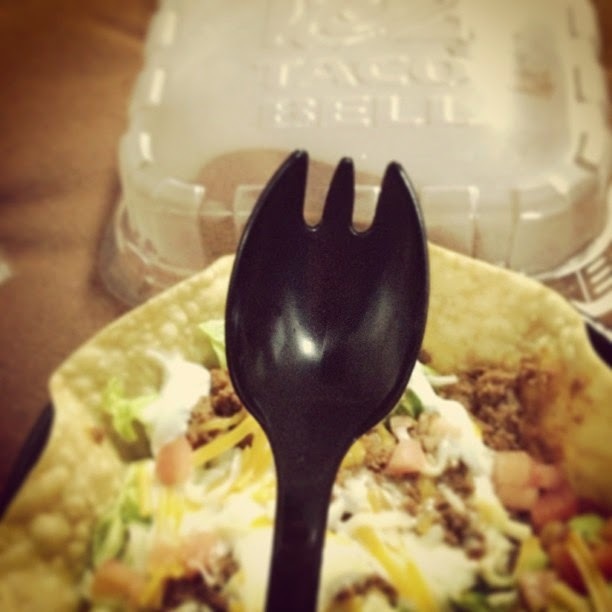 restaurants KFC and Taco Bell are very familiar with the spork, popular among weird high school dorks who play Magic: The Gathering and wearing black t-shirts from Hot Topic (read: me 12 years ago). Odd teenage obsessions aside, the spork is actually a fairly useful utensil, though it’s ability to skewer with its stubby little prongs is limited at best. While usually not used to actually transport food from your plate to your mouth, tongs are nonetheless an absolutely indispensable eating utensil, especially when grilling outdoors. You could use a fork to move meat onto and off of the grill, and turn sausages for maximum flavor, but you run the risk of losing valuable juices, and dripping onto your coals, which can hamper your ability to cook going forward. If you’re not using tongs to grill, you’re wrong. This ranking may be lower than you’d expect for one of the three staples of western cutlery, but let’s be honest about it. The spoon is pretty useless. Unless you’re getting down with some soup or delicious, delicious chili, everyone the spoon can do a fork can do just as well. 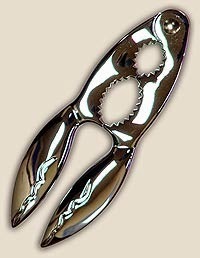 Like the crab cracker below, the spoon is essential at times, but it’s lack of versatility hurts its ranking. This ranking reflects the lack of versatility the crab cracker brings to the table, as it really serves only to…well, crack crabs. In that endeavor, however, it is uniquely suited to thrive, and any attempt to get inside a crab or lobster’s shell to get at the delicious meat inside is sure to be made significantly more difficult should you find yourself lacking this unique utensil. There’s really very little reason for the butter knife to exist, as all of its uses are performed very capably by other utensils with more versatility. There is nothing a butter knife does that a steak knife doesn’t do better, including cutting through butter, which makes this utensil both useless and poorly named. Used primarily by the thru-hiker community and probably other nerds, the sporf supposedly combined the features of a fork, spoon and knife into one utensil. An ambitious attempt on someone’s part to really streamline the Western cutlery game, in practice it probably doesn’t do anything particularly well, and looks like a potential injury hazard as well. I would recommend avoiding it unless you plan on taking on the Appalachian Trail. 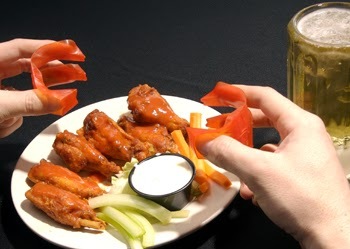 Trongs, pictured to the right, are the solution to a non-problem, protecting your fingers from the dangers of barbeque and buffalo sauce while eating ribs and chicken wings. The diabolical creators of this preposterous device live only to cut into the the profits of our country’s many fine wet-nap producers, and I for one won’t stand for it. Anyone caught using trongs without a valid medical excuse should be put on trial for crimes against humanity. Are you kidding me? Get real with this stuff.